A small team did our annual survey of the northern shores of Chek Jawa. 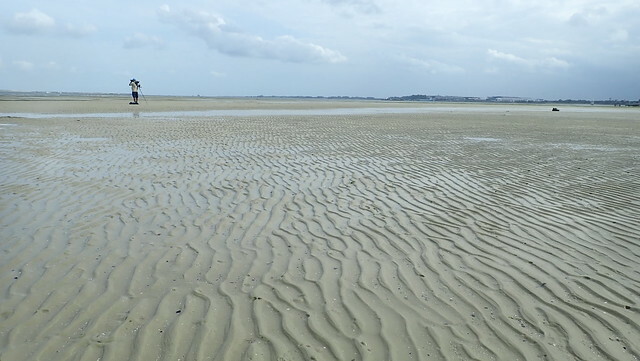 Here, a long sand bar shelters the large lagoon of Chek Jawa where seagrasses and marine life flourish. 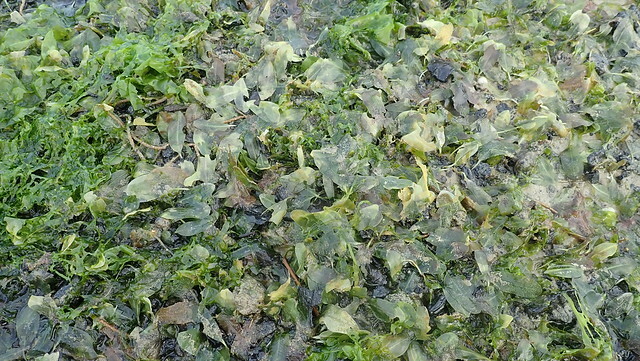 Seagrasses also grow on the outer edge of the sand bar. I found for the first time a large patch of Smooth ribbon seagrass. I came across many dugong feeding trails and the usual marine life was still there. Had a quick look at the mangroves which were doing well. 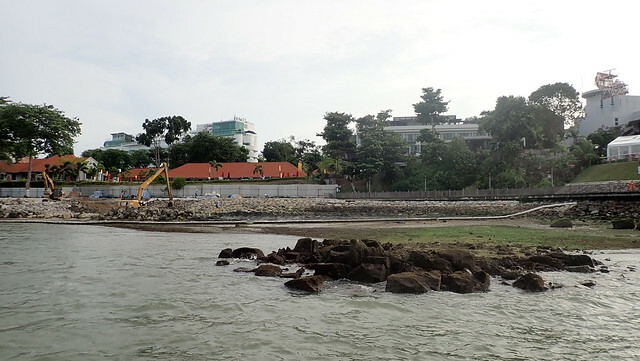 Thanks to NParks for permission to survey this shore. 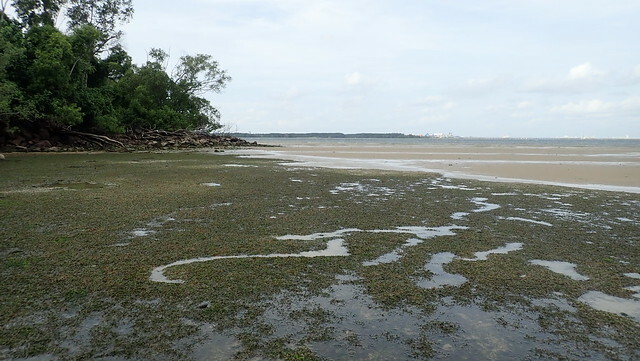 There were also many dugong feeding trails, mostly on the inner seagrass lagoon. Sadly, observed a few small patches of bleaching Spoon seagrass. 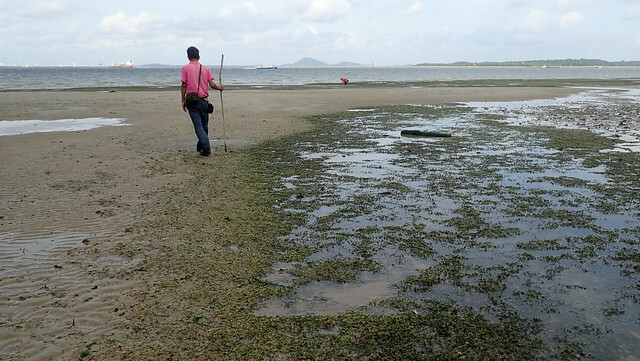 During our annual survey here in Nov 2017, we also saw bleaching seagrasses. 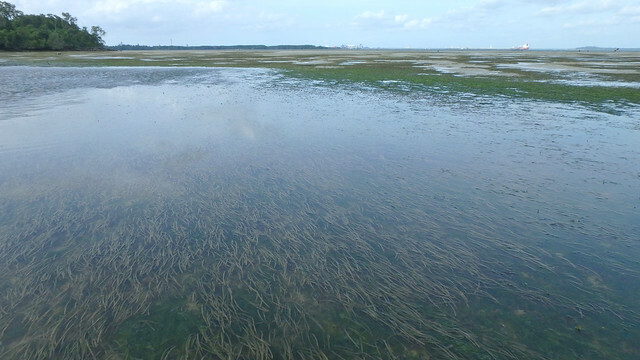 A closer look at the bleaching seagrass, though most of the Spoon seagrass were doing well. As usual, the sand bar and seagrasses were dotted with marine life. 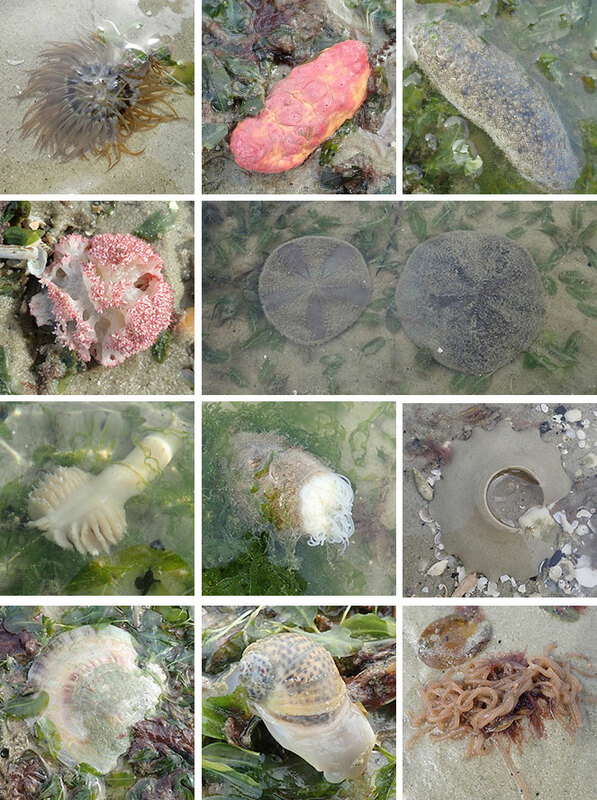 Swimming anemones seem to be in season. But we didn't find any Button snails. I came across this Tiger moon snail on the prowl. Marcus found a Grey bonnet snail! Seems like the Hairy sea hare is coming into season. 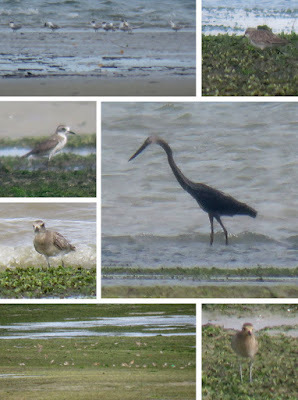 We were most priviledged to have Subaraj join our survey and he pointed out lots and lots and lots of shorebirds that we have failed to observe. 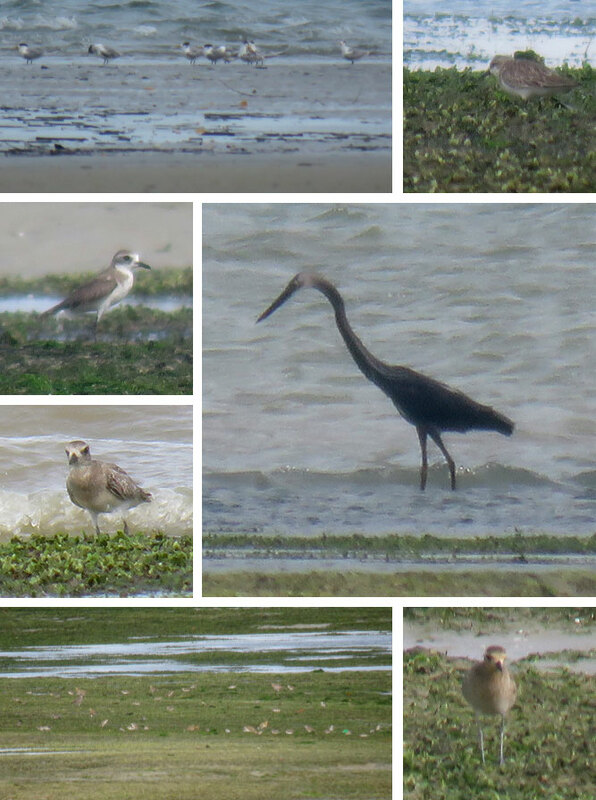 The sand flats and seagrass meadows of Chek Jawa are indeed important as feeding groups for migratory birds to refuel for their long journeys. 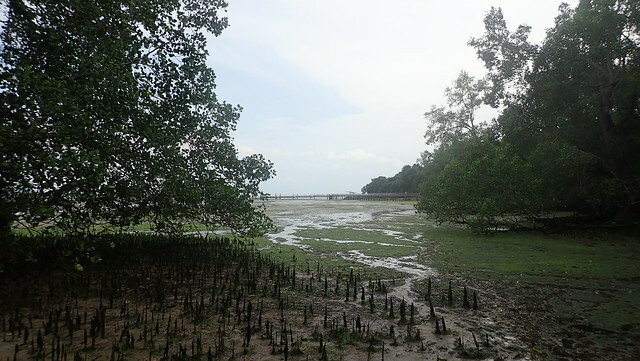 I also had a quick look at the mangroves along the way. And they looked fine. 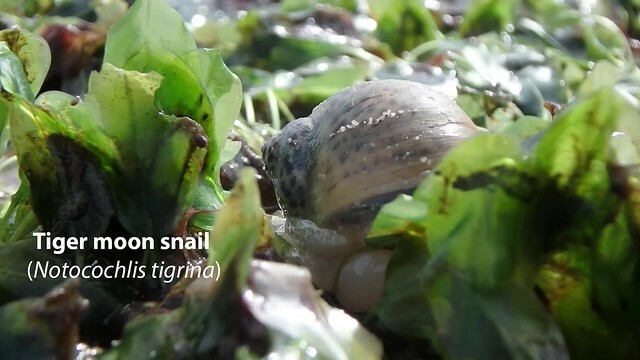 Alas, the very rare Critically Endangered Mentigi (Pemphis acidula) is no longer there. 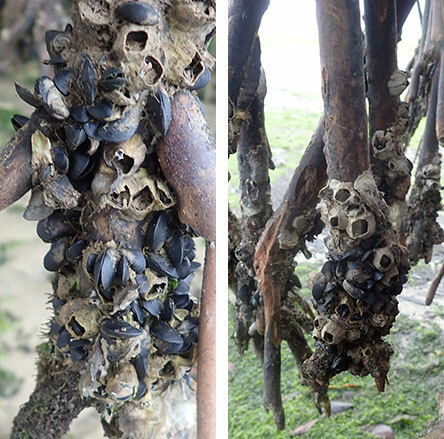 I had a quick look at the mussels growing on the mangrove tree roots. There were not abundant. I didn't see any mussel mats on the shore. 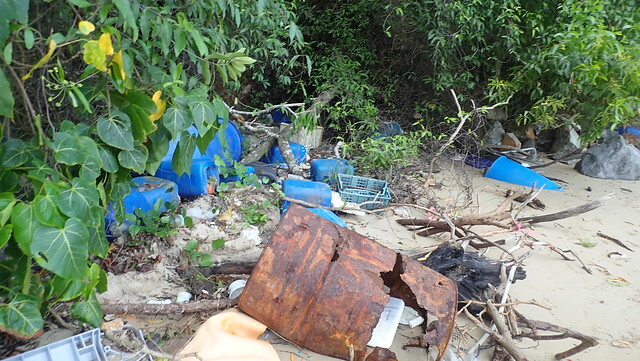 As usual, a collection of marine debris next to the fence. Most of them look like they came from fish farms. Fortunately, we didn't come across any nets or traps, unlike our last survey in Nov 2017. On the way home, the works on the seawall are still going on. But I'm glad to see the green area where the seagrasses usually are, is still there. Hope it's seagrass and not seaweed. Subaraj also pointed out otters on the Point on our way to Ubin. Others on this trip: Nicholas Yap, Nicholas Yeo, Subaraj Rajathurai, Neil Hutchinson.